The federal government has committed at least $8-billion (and counting) for the development of a nationwide high-speed intercity passenger railway system in almost three-dozen states. Rail advocates have long dreamed of an extensive railway grid that will provide clean, speedy, energy-efficient travel. The high-speed rail program is also expected to create thousands of desperately needed jobs, while reducing the nation's dependence on foreign oil and easing gridlocked highways and congested air-space. However, this noble, ambitious, multi-year plan faces a multitude of obstacles -- including costs that will no doubt escalate as the years pass by; and an American public that may be reluctant to relinquish the independence and convenience of their beloved automobiles for a train. Other questions also abound -- who will bear the costs of operating a sophisticated rail system? The financially beleaguered state and local authorities? Will the rail system be run by the government (like the oft-criticized Amtrak complex), or by private entities? And what will happen to Amtrak? What no one questions is that the U.S. has fallen far behind many foreign countries in high-speed rail technology, particularly France, Spain and Japan. Even developing countries like India, China, Brazil and Morocco are determined to join the high-speed rail sweepstakes. For example, France's highly-regarded Train à Grande Vitesse (TGV) operates 1,700 kilometers of tracks, connecting Paris to virtually all other major French cities as well as other countries, while averaging speeds of almost 175 mph with a top speed well in excess of 350 mph. High-speed lines were soon built by many of France's neighbors. Japan's Shinkansen network spreads out over 2,500 kilometers -- its trains average about 160 mph, with a top speed of 360 mph. Moreover, China is reportedly spending $500-billion over 20 years to construct a massive high-speed rail network. The U.S. currently operates only one high-speed rail line, the “Acela Express” of Amtrak which runs in the congested Northeast Corridor between Boston and Washington D.C. The $8-billion the Feds have set aside for high-speed rail in the U.S. forms part of the $862-billion economic stimulus package passed in 2009 and will be paid out through state grants. The program also includes $1 billion per year for five years in the federal budget as a down payment to jump-start the program, the White House said. The Department of Transportation (DOT) has identified 13 so-called rail corridors -- high-density regions with extensive industry and commerce between 100 and 600 miles long -- ideal for a super-modern rail line to ease congestion. For example, there are plans to establish a railway between Tampa and Orlando, Florida that will reach speeds of 168 miles-per-hour and make 16 round-trips daily on a brand new track. The one-way journey would take less than one hour, versus the 90 minutes required for a car. California would receive about a quarter of that initial $8-billion payout to construct an electrically powered 800-mile high-speed rail system of 800 miles serving major cities from San Francisco and Sacramento to Los Angeles and San Diego with over 300 trains per day, and moving at speeds of up to 220 miles per hour. John Robert Smith, co-chairman of Transportation for America, a highway safety-conservation group, believes a high-speed rail system would take two decades to build in the U.S., but it would be worth it. This massive infrastructure project will likely involve joint ventures between US companies and foreign firms with more experience in constructing and maintaining high-speed rail networks. However, some are skeptical of this program. Mary J. Meixell, associate professor of management ay Quinnipiac University in Hamden, Conn., wonders what the ultimate cost will be and who will ride on these high-speed trains? It is very expensive not only to build a high-speed rail system, but also to operate it, she said. “For a passenger rail system to sustain itself, it will need a large number of riders. I'm not convinced that there will be enough demand to support such a transportation system . State budgets will likely have to take up the financial burden and they're already strapped. For example, the future estimated costs of a high-speed rail line in California have been ever-rising. The California High-Speed Rail Authority, which was formed to conduct the project, told the public in 2008 that the rail line would cost $33.6 billion. The price tag has already mushroomed to $42.6 billion – much of which will have to be assumed by local authorities (in a state facing severe financial difficulties). Meixell also points out that places like France and Japan are more amenable to a high-speed rail transport system due to their dense population and long tradition of public transport. In contrast, the U.S. is a vast country with a lot of wide empty space and a deeply-entrenched automobile culture. Andy Kunz, president & CEO of the US High Speed Rail Association in Washington,D.C., counters that high-speed rail networks are not only efficient, safe and environment-friendly method of transportation, but also proven to profitable. Kunz cites that France's TGV system owned and operated by the French national rail company, Societe Nationale des Chemins de Fer Francais (SNCF) is highly profitable and has generated sufficient revenues to pay down initial capital costs. Kunz also notes that Japan's Shinkansen network, which was inaugurated in 1964, has carried something like 9-billion passengers over that span, without any fatalities arising from derailments or collisions. 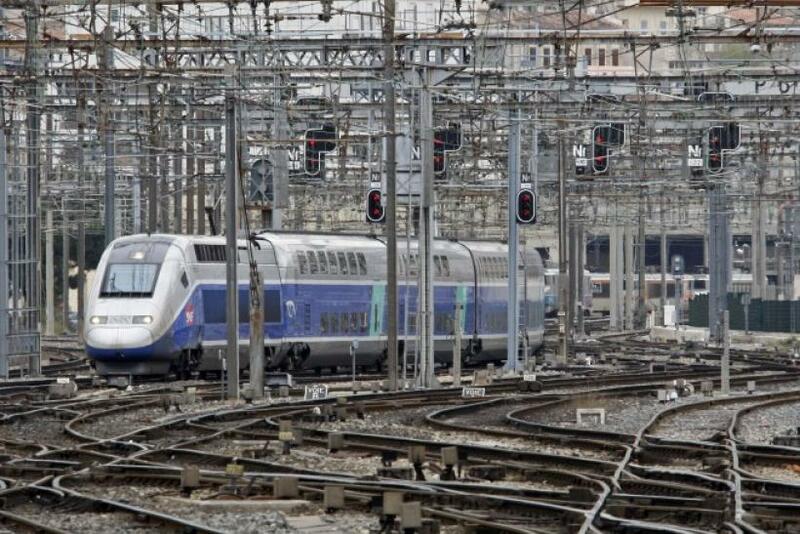 Moreover, SNCF and other national railway companies in Europe plan to extend the electric rail system throughout the continent – which would likely further reinforce the European Union as a unified sovereign state. European and Japanese high-speed rail projects have generally been financed by a combination of public and private sources,. It is still unclear how the burden of cost for a new rail lines in the U.S. will be handled. Robert Yaro, a professor at the University of Pennsylvania and president of the Regional Plan Association, a New York-based research and policy group, strongly supports the high-speed rail project. The rest of world is building these rail networks and we lag far behind, he said. If you're going to have a competitive economy in the 21st century, I think we really need to move ahead with this project. Many have pointed their fingers at Amtrak, the beleaguered government-run railway system, as an example of a struggling, inefficient, money-losing rail network. But Yaro points out that Amtrak (which began operations in 1971) has been woefully under-funded for years by Washington D.C.
Yaro adds that like schools, universities, libraries and the police, rail transport is an essential service that any advanced society needs to have – whether it makes money or not.